We’ve been incredibly slack in sending out our newsletter in the last half of 2011, sorry about that, but it is for an exciting reason. 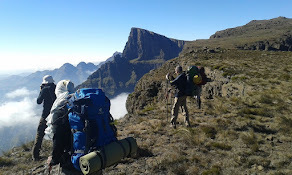 GoVertical Mountaineering Adventures is celebrating 10 years of passionately providing eco-adventures to the local and foreign tourism market and just to make sure that we still deliver adrenalin filled Adventures with enthusiasm and commitment, we’ve developed a whole new set of adventures… on the Garden Route. Ok, so what’s happening up there in GP? The adventures continue, Mark and Emile are the guides who have taken over GoVertical’s Gauteng adventures. We still do the bookings, so if you’re keen for some Abseiling, Rock Climbing, Rafting or Kloofing during the December vacation, email us and make a booking. And make a date for our Drakensberg adventures or take on the challenge of our favourite African summits, Kilimanjaro and Mt Kenya.